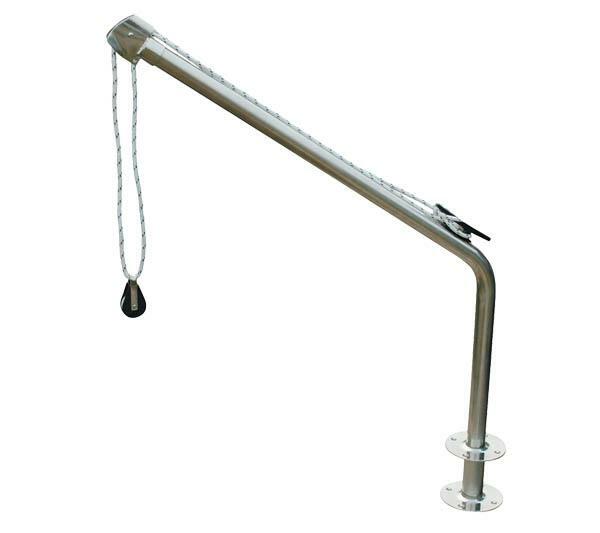 Stainless Steel Pivoting Davits for deck mounting. 2-3/8" diameter tubing, 39" height. Weight capacity = 170 kg. Includes line, blocks and cleats. Sold by the pair.